Super fast turn around and beautiful end product. Thanks so much! Great experience, super quick and flexible. Would definitely do business with her again. Beautiful invitations, great communication with seller and got the first proof same day I ordered! Will definitely purchase from seller in the future. The invitations were amazing! Will definitely order from her again!!!! Great Product! It’s just what we needed! The invitations are simply perfect and Jessica is adorable, very fast answering my questions and helping me with the personalized invitation. Super recommend this great professional. I loved how quickly we received our purchase and our proof to the finish product. It’s perfect! Thanks so much for the invite! I love them and they are beautiful when printed!! Prints out great quality, recieved file the next day!! 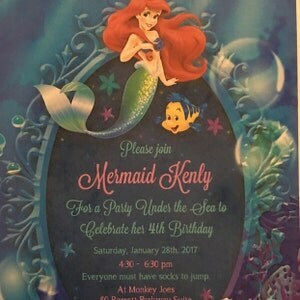 My invitation came out just how I wanted it to, if not better!!!! ?? Thank You! Quick and made revisions even quicker! Loved the end product. Printed the invitations from Walgreens, and they came out beautifully. Thank you!! Will definitely order from you again. Loved the options of different sizes and the free thank you cards!! Love my invitation! Thanks so much!!! Great seller to work with. She was very responsive and accommodating. 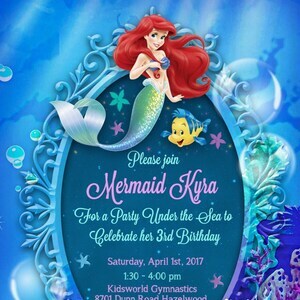 Everyone loved the invitation and all the girls wanted to come to the party immediately. Definitely will work with this seller again. I absolutely loved my invitations for my babies 1st birthday ! She helped me re word to what i wanted exactly & i printed them out today & they look AMAZING ! !